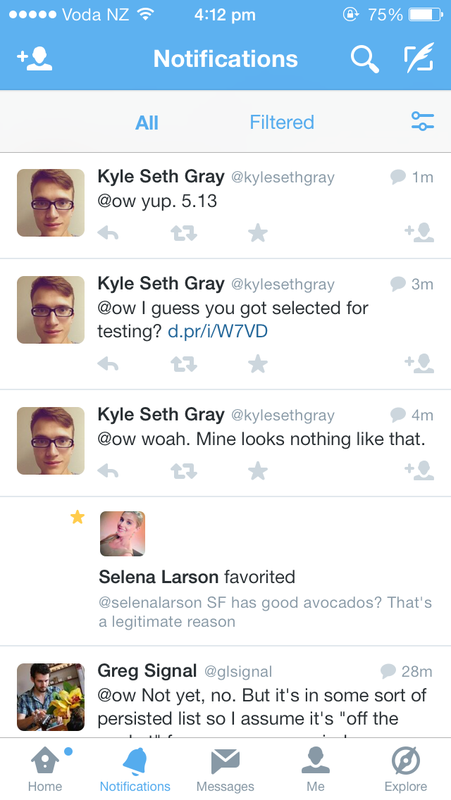 Twitter is in full on experimentation mode with its latest app update. We’ve talked before about how Twitter is using data to push out big changes to small amounts of people and then make judgment calls about whether to implement those updates on a larger scale. Its latest update adds several features to everyone’s version of Twitter, but depending on which experimental bucket you’re in you might see any number of ‘versions’ of Twitter once you update your app today. First, the changes to the app that we’ll all get to take advantage of. The release notes cover a few tweaks, including the fact that your search results can now be filtered using a variety of media types including photos, video, news and people. 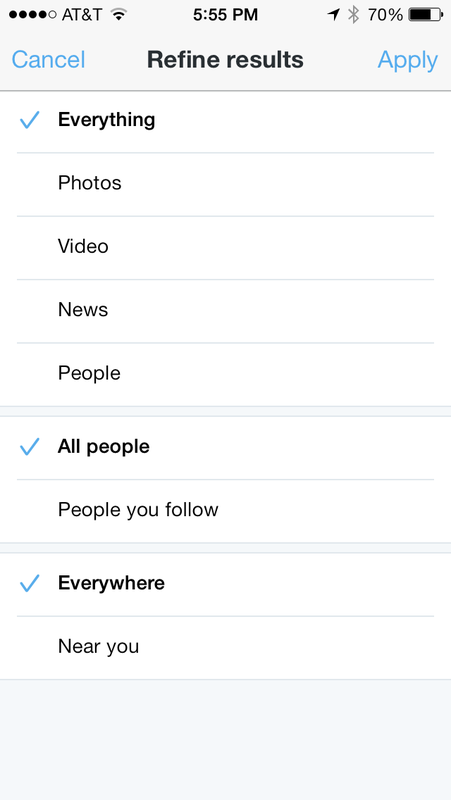 The filtering can also allow you to see ‘all’ tweets rather than just ‘top’ tweets. This is great for people that use Twitter for research, not just trend hunting. Top tweets are often older, and ‘all’ tweets will give you a much more current set of results right off the bat. You can now search for local content as well, rather than stuff from ‘everywhere’. The local content being surfaced is a good touch, as that’s part of what could get people outside of the ‘technorati’ to see value in Twitter. I can’t tell you the number of times I’ve heard a neighborhood commotion and tried to search Twitter to see what happened. 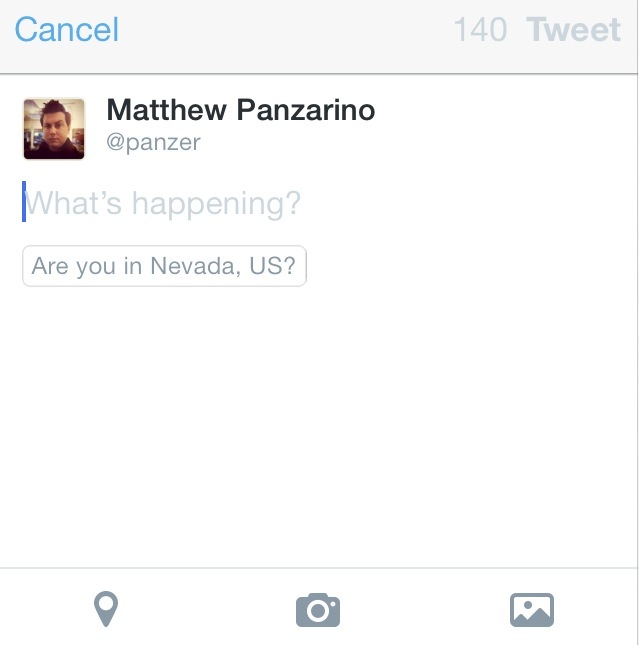 Locally trending tweets could make the power of Twitter’s ‘global’ news hounding work for you on a local level. It’s great to see this come to the app. You can also now see trending TV stuff and local content in the Discover tab.The TV trends are kind of buried, and will show up after you’ve scrolled through the list of other content under the ‘Trending’ section. That makes it three levels down. This is a far cry from the aggressive TV experiments we had heard about before, and indicate some trimming back was done for this release. Which is fine, I guess, as that’s why you run experiments like Twitter does. The new compose view will ask you if you are near a location, likely to encourage you to attach location metadata to your tweet. Otherwise you’d have to tap on the location button proactively. Swipe gestures on a ‘per cel’ basis appear to be gone as well. 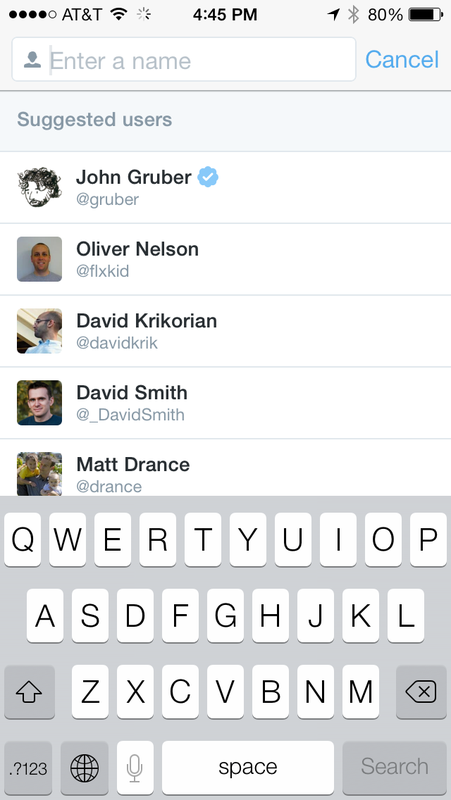 This means that you can’t swipe from left to right on a tweet to bring up actions any more. This could be due to the fact that every tweet has a full suite of permanent action buttons in the timeline now — or Twitter could be planning on using those swipes for other experiments in the future. Some users, for instance, are saying that swipe gestures are now allowing them to jump left-to-right between the timeline, Discover and Connect tabs. There is also a great new addition to the direct messages section: suggested users. Based on what appears to be a variety of factors including DM frequency, interaction frequency and other relevant stuff, Twitter gives you a quick list of possible conversation starters. So instead of searching for people by user name, you get a ‘recents’ list. This is quicker and another sign that Twitter is paying more attention to DMs. The icons on the DM screen have also been redesigned and look much nicer in my opinion. Actually, most of the icons in the app have been redesigned. They’re a bit smaller and the profile images are slightly more detailed ‘people’ now. Twitter also appears to have implemented iOS 7’s dynamic type to set the font size within the app using the system-wide setting found in your Settings app. Then, there are the experiments that Twitter is using to play with the app. I threw out a quick query on Twitter about the possibility that people could be seeing ‘new things’ and got back a bunch of responses. These new variations of Twitter are going to be visible to about 1% of users, depending on which ‘test bucket’ they’re in at the moment. Most of these won’t be implemented, depending on what the data says about them after testing, but some of them could become permanent additions to Twitter. 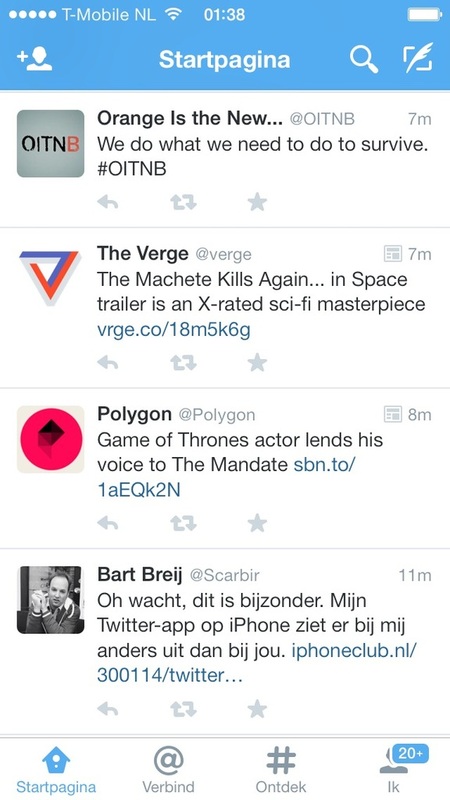 This provides context and a feeling of ‘life’ when you’re in the app sitting on the timeline view. It encourages you to to take a look at your connections tab too, which could lead to follows or more interactions. Tapping on the bar pops up a list of people who have favd your tweet in ‘avatar’ form. 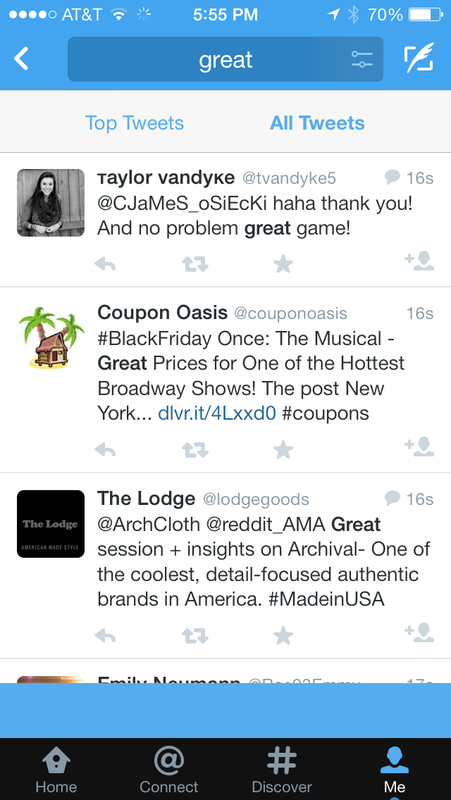 There are some new transitions between areas of the app like the main timeline and individual tweets as well. And it isn’t likely that the experiments will end here. A list of graphics assets inside the latest app, uncovered by developer Ryan Orbuch, point to more trending topic attention given to arenas like sports too. And curious behavior exhibited by pulling down on a profile page intimates more to come.